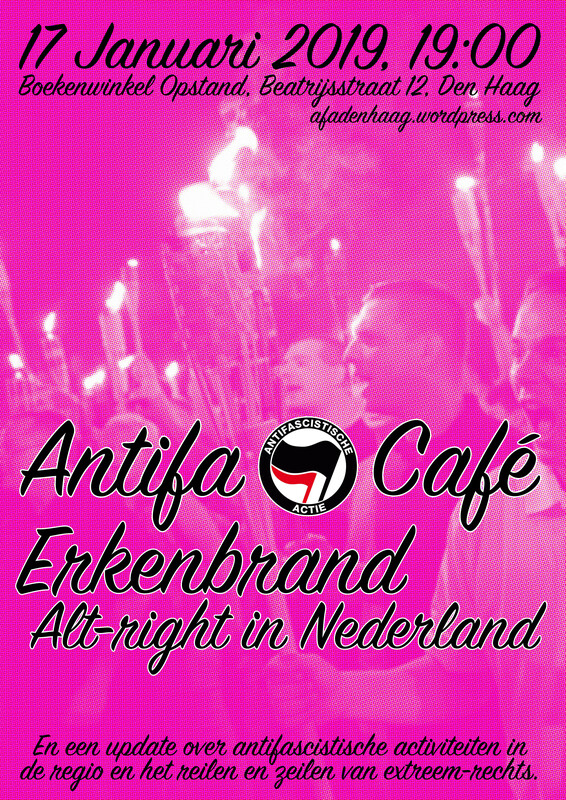 On the 8th of September around 40 antifascists held a solidarity demo at the Rotterdam/The Hague Airport deportation prison. 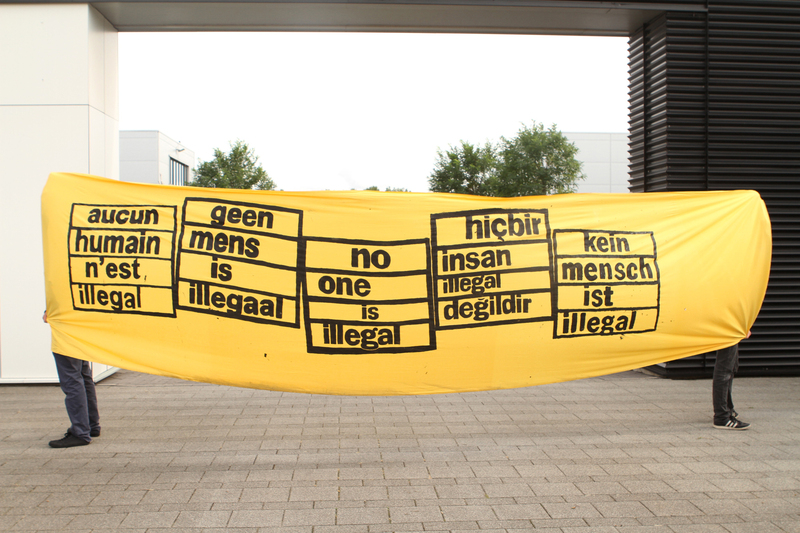 By making noise and communicating their message through banners the antifascists showed their solidarity with the migrants who are imprisoned in the centre. The people on the top floor of the prison could see the demonstration and greetings were exchanged. The screws quickly lowered the mechanical sunscreens on the outside of the windows to quell any enthusiasm expressed by the prisoners. At the back of the prison the blinds were not lowered so that contact was possible. The prison has 608 places and is located next to an airport runway. The conditions are bad. No care, no rights, almost no activities and bad food. If one resists, the isolation cell awaits. During the last couple of months the situation for migrants is only worsening, Fortress Europe has closed her borders. Boats that rescue migrants at sea are being blocked in ports by the authorities. The EU is also busy making new deals to keep migrants in camps in Northern Africa rather than having them cross over to Europe. The militarisation of Europe’s borders is in full swing. We deem it unacceptable that people are classified as illegal, that migrants on the run drown in the Mediterranean and that those who make it to Europe are imprisoned for not having the correct papers. 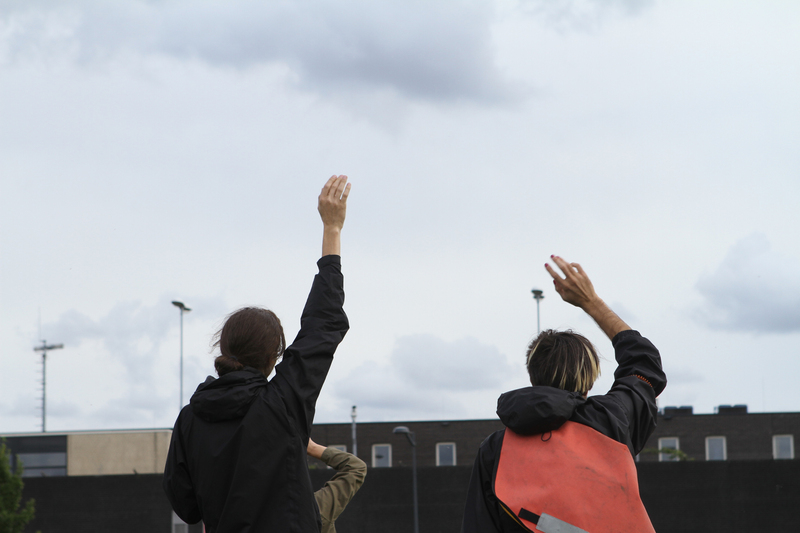 We demand the closure of all border prisons and the freedom of movement for all.